Saltaire station was re-opened in 1984. 333007 arrives with 2S26 12:41 Bradford Forster Square -Skipton. 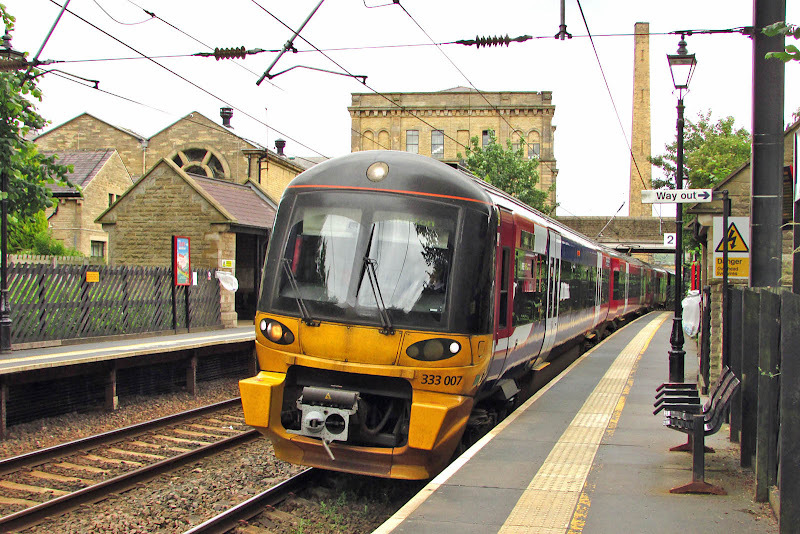 322482 arrives with 2S31 12:30 Skipton - Bradford Forster Square. 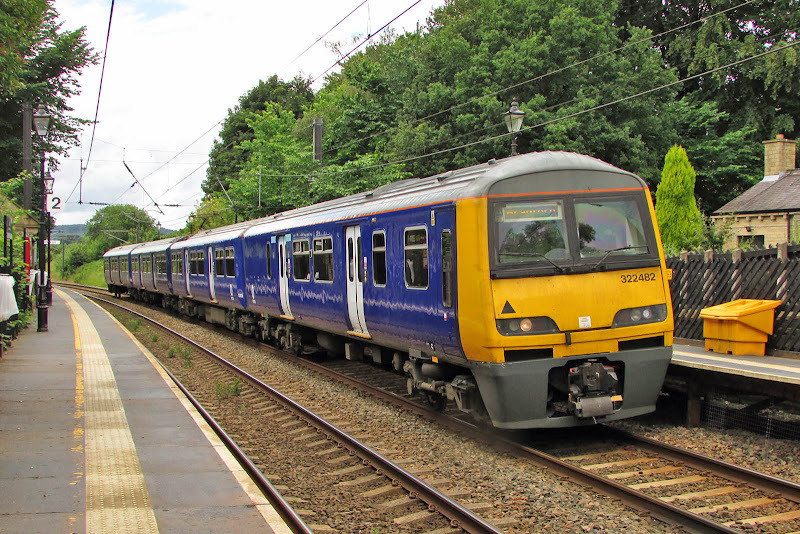 This unit is one of five originally built for Stansted Airport services, and which later had two periods on the Edinburgh - North Berwick services in Scotland.